The Deputy President Today was in Nandi County to Mobilize the Area Residents who had not been Registered to be Registered so as to vote in Leaders who will bring change to them and the all country at large. 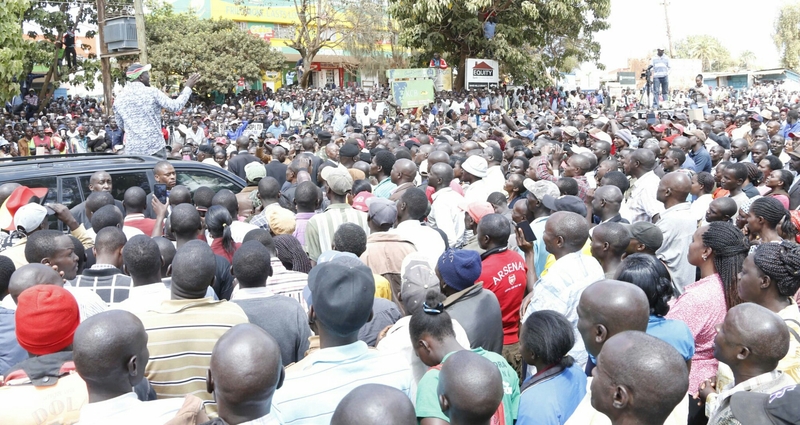 The DP who was speaking in Kaptumo and Nandi Hills took the chance Urge the Residents to turn up in large numbers and drum up support for Jubilee Government re-election and also to unite and ensure they choose their leaders,urging that the Jubilee Nomination will be done free and fairly. He was accompanied by area Top County Leader’s,Mca’s ,Senator Stephen Sang and Members of National Assembly,Hon.Cornely Serem-Aldai,Hon.Julius Melly- Tindiret,Hon.Alfred Keter- Nandi Hills,Hon.Oscar Sudi- Kapseret amongst many other dignitaries who accompanied the entourage.